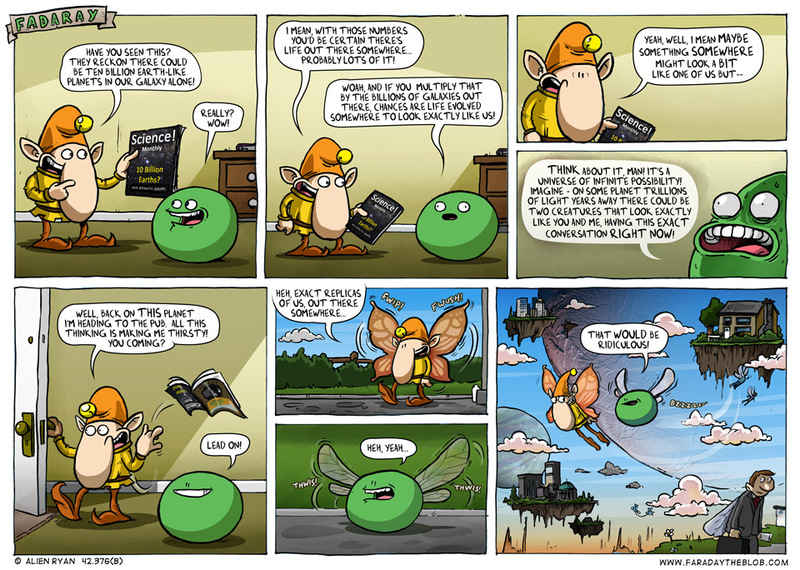 This entry was posted on Monday, April 2nd, 2012 at 12:29 am and is filed under Comics. You can follow any responses to this entry through the RSS 2.0 feed. You can skip to the end and leave a response. Pinging is currently not allowed. Aha, Anomymous (if that is your real name) – is it actually a typo, or is it in fact how they speak on that world? Ha, cheers Defcol, typo fixed now anyway! This is just the type of thing I sometimes wonder about. I sure hope alternate Tony doesn’t have poncey fairy wings! Love it, but gash that there are still gray suit wearing drones in an alternate world! Tony- Bat wings then? Personally I could put up with fancy butterfly wings if it meant I could glide to work and not sit in traffic!